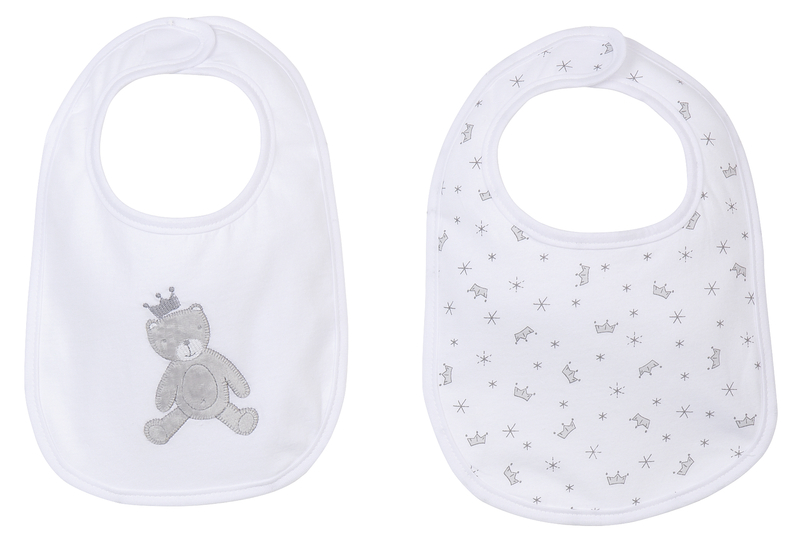 Pure cotton bibs in Parisian style. Whether baby is breast or bottle fed, these become indispensable from baby’s very first days of life. One side is pattern printed on jersey, the other side is terry cloth fabric for absorbency. Made with easy to open velcro closure. Chic and necessary!